BEIJING - For most people on the mainland, the ideal life after retirement is staying with family, going sightseeing or getting involved in various hobbies like shadowboxing or mahjong. However, for 72-year-old Li Wan-xing, retirement means fulfilling a new ambition. Li, a volunteer for the Dongfu Disabled Care Center in Beijing, is building a nursing home for the elderly that provides 250 standard bedrooms. "I have always dreamed of doing something I like. Now that I'm retired, it's time," Li said proudly, displaying his usual smile. Even though construction work on the nursing home is not complete, Li has come up with a name - the Wanshanhong Nursing Home - which means a nursing home among mountains covered with red flowers. It is located in the town of Xiaotangshan in Beijing's northern suburbs, and boasts a picturesque view that is hardly rivalled in downtown Beijing, and surrounded by lush greenery with vegetable fields stretching far to the horizon. Li rented a 5-hectare lot in 2006 for the nursing home. "I visited almost all available places in the suburb," he said, and his wife complained that he was running around all day and wearing out several pairs of shoes. "You know, it's not easy to get such a large piece of land in Beijing. I finally chose this place because it boasts a good natural environment and easy transportation." Li pictures a future where the nursing home is ready, and the elderly occupants can fish in the two ponds and enjoy fresh organic vegetables. "My wish is to have all elders here enjoy the rest of their lives," said Li, pointing proudly to the rows of bungalows, offices and landscaping under construction. Born in the 1930s, Li personally experienced the War of Resistance Against Japanese Aggression, the country's civil war and the "cultural revolution" (1966-76). It was only after the country's reform and opening-up policy started in the late 1970s that his career finally started to take off. 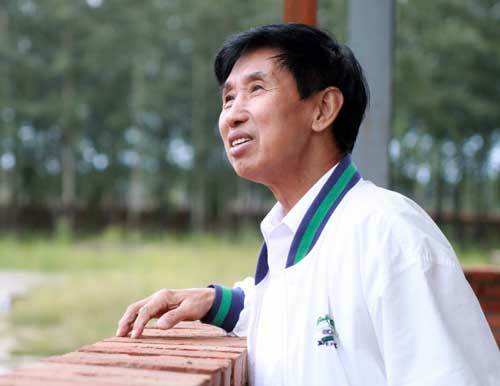 In the early 1980s, he set up the first privately owned bread factory in Beijing and made his first fortune, which now allows his plan to build a nursing home to materialize. In 1983, Li took to charity after he watched a performance by people with disabilities. Greatly moved by the talent and resilience of the people on the stage, Li, who has no child of his own, decided to give a helping hand and became a volunteer at a local care center. After retirement, he became a full-time volunteer at the Dongfu Disabled Care Center in Beijing, where he met some like-minded people, one of whom was Ren Jianzhong, who works with Li on the nursing home and is now Li's assistant. Li came up with the idea for the nursing home after a few visits to some elderly care homes. "Some nursing homes are too crowed and not sanitary enough, while the staff are reluctant to take care of the elderly," said Li. "There are also some decent nursing homes, but they are far from enough and not affordable for most people of my age. "Most people of my age experienced many hardships that are beyond the imagination of the younger generation. Today they are finally living in a great thriving era, so they deserve a peaceful, happy time at the last stage of their lives, especially those with disabilities," Li added earnestly. But the nursing home will not be restricted to the disabled, Li said. "Anyone is welcome," he said pointing to the nursing home's ability to house 500 people. By 2012, when Xiaotangshan hosts the International Strawberry Festival near the nursing home, foreigners may also stay here, Li added. "The biggest obstacle at present is that there is not enough money." In building it, Li spent all of his savings of around 3 million yuan ($450,000). But he is optimistic, thanks to some promised support from a charitable foundation, where he and Ren are applying for loans. Ren, who runs a paint factory, has promised financial help. Li said the cost of a stay in the nursing home would be about 1,500 yuan ($225) a month, a moderate amount when measured against the pension of a retiree, he said. "The purpose of establishing the nursing home is not to seek a profit," he concluded. "A minimum amount of rent will be charged so the nursing home can continue and provide the elders with a satisfying life." And Li is confident the nursing home will be popular. "More than 20 people have now registered," he said, smiling happily. "By May 1 the first batch of guests will move into their new home here."